Winners have been announced in the Gel II Nail Art Contest sponsored by manufacturer La Palm Products. Winners have been announced in the Gel II Nail Art Contest sponsored by manufacturer La Palm Products. Sandra Khoo of Colorado won the grand prize: $1,000, a La Palm LED lamp, and 10 Gel II polishes. In second place was Carissa Hensley of Ohio, who won $500, a La Palm LED lamp, and five Gel II polishes. Third place went to Julie Proenza of Florida who received $250, a La Palm LED lamp, and two Gel II polishes. 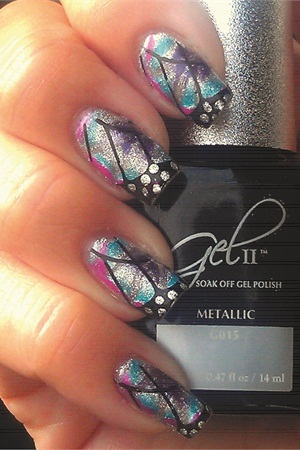 “We received 60 entries of amazing nail art using Gel II and it was a tough decision to make. We are so proud of our incredibly talented Gel II users,” says La Palm’s Megan Eaton.